“Mule” because it is formed from two different bike-parents. “Packer” because it packs easily and travels as regular airline luggage. Built from two separate vintage mountain bike frames with horizontal top tubes. Both connections are sleeves, the simplest, strongest possible. It is constructed using only a tape measure, bevel gauge, hack saw and a file. t is a 100 % “failsafe” design that is rideable even without the clamp bolts. When slid apart, it fits into a wheel box and measures under 62″ around. To build one you need a source of old, low-cost mt. 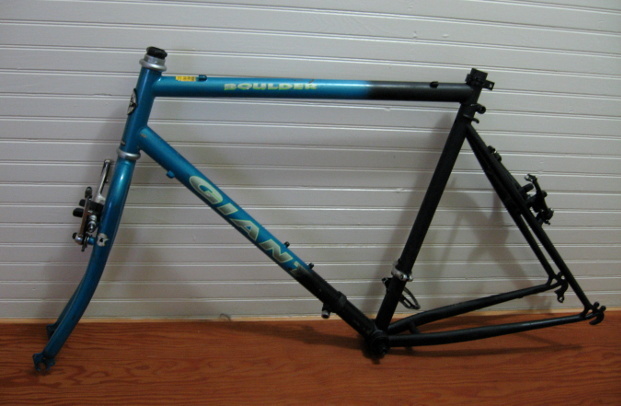 bike frames–and patience! 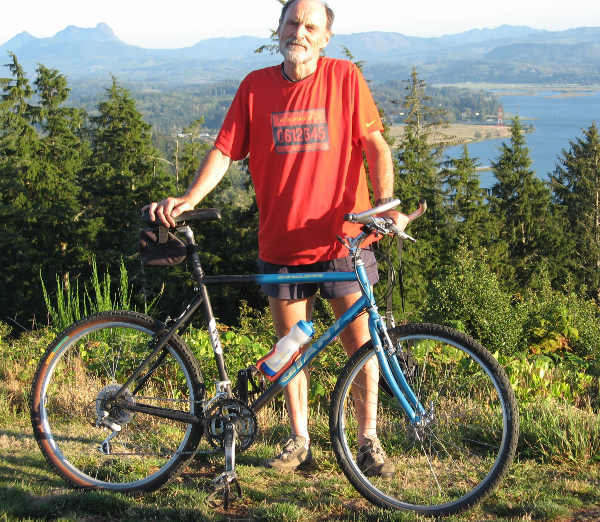 Peter Marsh on top of Astoria about to descend the trail on the first Mountain Mule. So what’s the catch, you ask? Well, it’s not as easy as it seems to find two frames that are close to “congruent” with the rear half being original oversize tubing and the bigger front half being oversize + tubing. But together, they create a perfect lower “sleeve” joint. But I practised with a lot of Huffies and other junk bikes until I was sure it could be done, and persevered with my search until I eventually found two good quality frames that were a perfect match. The satisfaction of forming two perfect joints with just a saw and file, assembling the bike and test-riding it, made the whole effort worthwhile. 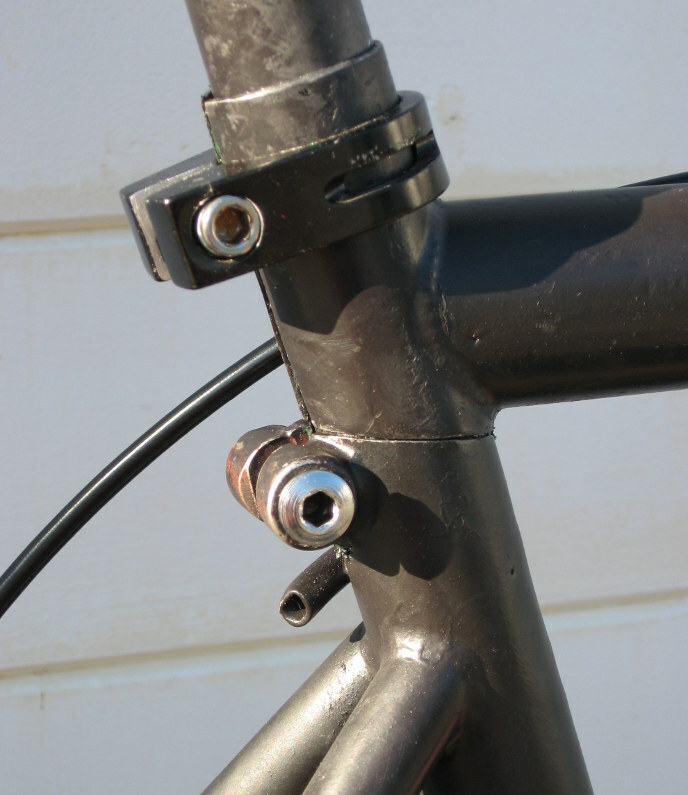 Seat cluster uses seat post with clamps on both front and rear frame halves for 100% secure joint. Still trying to find the answers to life's nautical questions. This entry was posted in Cycling, Uncategorized and tagged demountable mt bike, do it yourself travel bike, packable mt bike. Bookmark the permalink.